Vinyl Collection Puzzles Are Back!! Tags: "Annie's Blue Ribbon General Store", "vinyl collection puzzle"
Our hugely popular Vinyl Collection Puzzles are back in stock!! 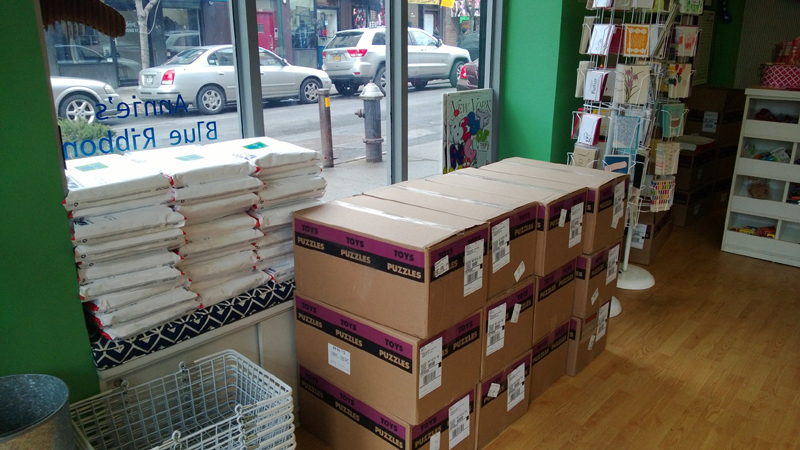 We’re hard at work sending out backorders, and new orders will ship next week! Tags: "Annie's Blue Ribbon General Store", "Japanese Quince Hand Soap"
With all this crazy Flu going around, be sure to wash your hands A LOT! It is the best defense against germs, and much better than just using hand sanitizer (the recommendation is to wash for 20 seconds, about the time it takes to sing Happy Birthday TWICE). Make hand washing more fun with our yummy JAPANESE QUINCE hand soap. It smells delicious and so will you! 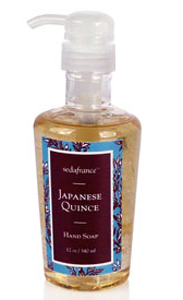 Japanese Quince Hand Soap– $18.95. Tags: "Annie's Blue Ribbon General Store", "hand in hand", "sustainable suds"
We just got this line of soaps in stock, and they are wonderful! I seriously can’t stop smelling the Orange Blossom scent! It’s intoxicating! Aside from looking and smelling gorgeous, they’re also ethically manufactured from sustainable and 100% natural ingredients. Plus a portion of the profits help alleviate poverty across the world as well as maintaining our rainforests. Now THAT is gorgeous! Also in Lavender and White Tea. Tags: "Annie's Blue Ribbon General Store", "baby be of use", "lisa brown"
The hilarious series of board books by Lisa Brown are back in stock! Baby Mix Me A Drink will help your child become more useful around the house….or at least give you a good laugh. Also check out Baby Make Me Breakfast, and Baby Get Me Some Lovin’ for even more fun! 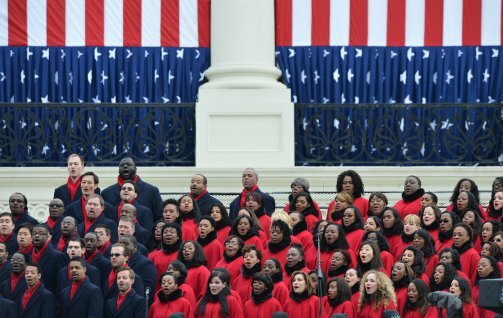 Tags: "Annie's Blue Ribbon General Store", "Brooklyn Tabernacle Choir at Inaguration"
iCords in Woman’s Day- Yay! Tags: "Annie's Blue Ribbon General Store", "icord", "iCords Womans Day", "Woman's Day"
Our fun & functional iCords are in this months Woman’s Day Magazine- Yayy!!! 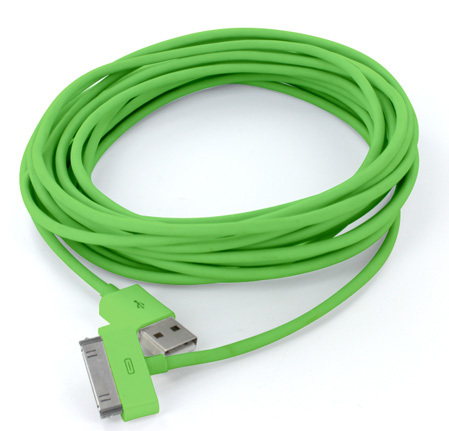 I bought one of these straight away as my iPhone charging cord looked like it was a major fire hazard (wires always seem to fray near plug, seems like a major design flaw in Apple’s otherwise amazing systems). Loving this bright green color too- perfect way to “warm” up during the cold winter months. iCords– $20 each. Tags: "Annie's Blue Ribbon General Store", "fridge magnets", "letter press fridge magnets"
My personal strategy to whip myself into shape this new year is to tackle one room at a time. Right now I’m working on the kitchen, getting it not just organized but beautified. I’ve streamlined my dish washing with our gorgeous and hard-working Bubble Up Dish Brush, posted Peel & Stick Chalkboard Sheets for notes and shopping lists, and now it’s time to make my fridge more fun! Enter: Letter Press Fridge Magnets! 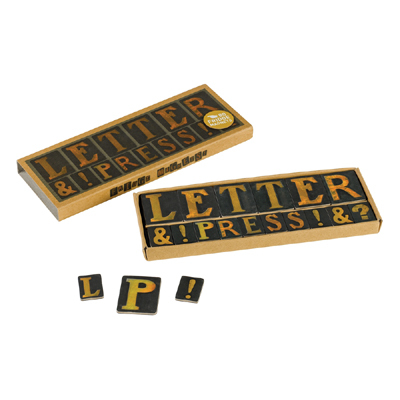 This funky set of letter magnets have a vintage letter pressed feel, and are big enough to actually hold papers or pictures. The set includes 80 upper case letters and a variety of punctuation.